We have added many pages in the last few days. And will continue to add pages in the coming months. 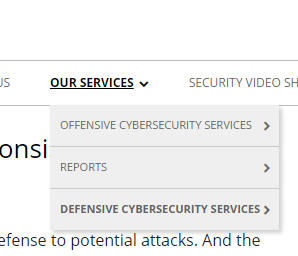 Notice how the menu opens at "Our Services"
Now there are three submenus - Offensive, Defensive Cybersecurity services, and Reports.